Complete with his #PurplePleatedPants. 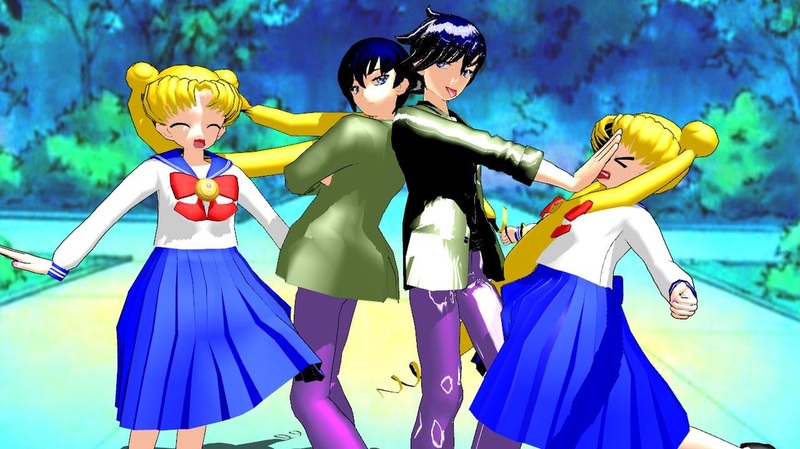 Whether you love him or hate him, Mamoru is Usagi's future husband. 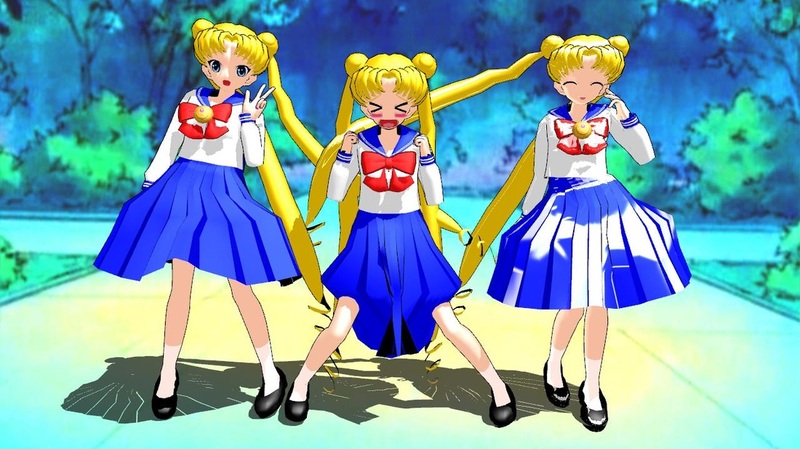 I couldn't decide which of her manga locks to go with, so I went with all three. So in total, you get SIX models, two blonde, two pink and two silver/white. She's a little glitchy, her bow needs to have it's bone fixed, and her physics are all over the place. You are SO welcome to edit. 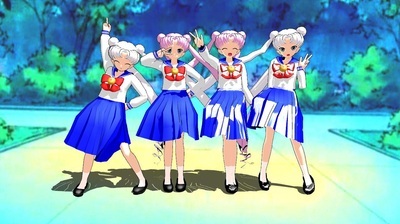 Usagi is so happy. She has TWO shows on Hulu right now, and everybody loves her.... well... maybe except Queen Beryl. But we know she's just hatin'. They are both from a safe-to-edit Charuko model, and are oddly enough the most in-demand of my models. I'm not the only one who loves wrestling! Made from an Animasa Miku, parts from a 3DCG safe-to-edit model, and parts from Len11999, here is Wendy, the famous girl from the Wendy's sign! 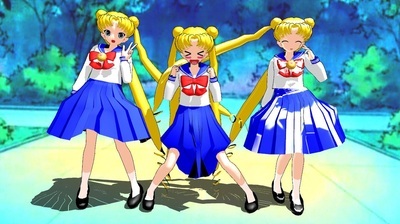 There are two different versions of her, one with her original black eyes, and one with her new-age blue eyes, plus each one has her own Shiny version too. Years ago, I found this creepy weird motion data. I never found out who did it, but they forgot to lip sync it, so I fixed that. There are two different styles I made of her, one with the jacket and one without. I'd like to remake this model, and give her correct boots, but for right now, here is my original model. Miku and Ulala would make an excellent pair. OMG has it been two years already?? Back in September of 2012, Ellen said on her show that she was looking for Gangnam Style videos. Sadly, she was overwhelmed with videos, and never got to see mine, but I'm proud to have made this Animasa model for her. How do you like his duet with Miku Hatsune? You can grab the motion here. Also, be sure to catch the REAL Gotye on his YouTube Channel.